For over 20 years, Mid-America Cabinet Refacing has been helping homeowners breathe new life into their homes through the refacing and resurfacing of cabinets and installing new countertops. 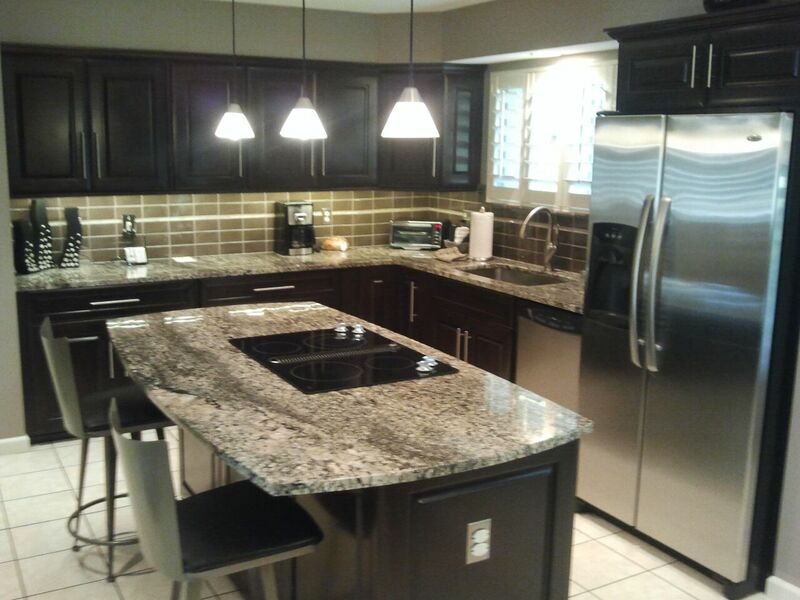 From quartz and granite countertop replacement to cabinet refacing resurfacing in St. Louis, we’ll help you transform one of the most frequented rooms of your home into a brand new paradise where you can cook, eat or entertain proudly. Our specialty lies in giving your kitchen that refreshed look: one that says volumes about you and the rest of your home. We’ll refinish those worn cabinets that have seen years of hard abuse, replace your battered and scarred countertops with pristine new materials and even replace your cabinetry with something more modern to give you the surfaces that you’ve always dreamed of having. Mid-America Cabinet Refacing aims to be your one stop kitchen and bathroom cabinet refacing service in St. Louis, MO by providing you with expert advice, professional workmanship and a superior finished product. When it comes to countertop replacement, Mid-America Cabinet Refacing has a variety of options to choose from, including granite, Sile Stone and quartz. If your cabinetry has lost its luster or shine to age or abuse, let us help you restore their brilliance. Cabinet resurfacing in St. Louis is far less expensive than an entire replacement and can instantly transform your kitchen into a stunning display of modernity. When the light shines over your glossy new cabinets and is reflected back into the room, illuminating it beautifully, you’ll see how much of a difference Mid-America Cabinet Refacing can make for your kitchen. Don’t let your cabinets continue to age and fade: call our team of professionals today and give your kitchen a brand new look! We’re proud to be the best cabinet resurfacing and refacing specialists in St. Louis, MO and we’re excited to let our services speak for themselves. Call us today at 314-229-6654 and see why we maintain an A+ rating with the Better Business Bureau and our customers. and other areas near the Metro St. Louis Area!